With 2016’s Train to Busan, South Korean director Yeon Sang-ho gave the world a zombie outbreak movie that stood apart from its western counterparts. Set on a speeding bullet train, it emanated a vigor and freshness which contrasted the staleness that’s been permeating the zombie-specific horror genre as of late. Whether he’ll be able to do the same or not with his next film, Psychokinesis, remains to be seen, but if I were a betting woman, I’d have my money on the table. Yeon has taken a stab at the superhero genre, and the new English-subbed trailer has debuted to show it off. 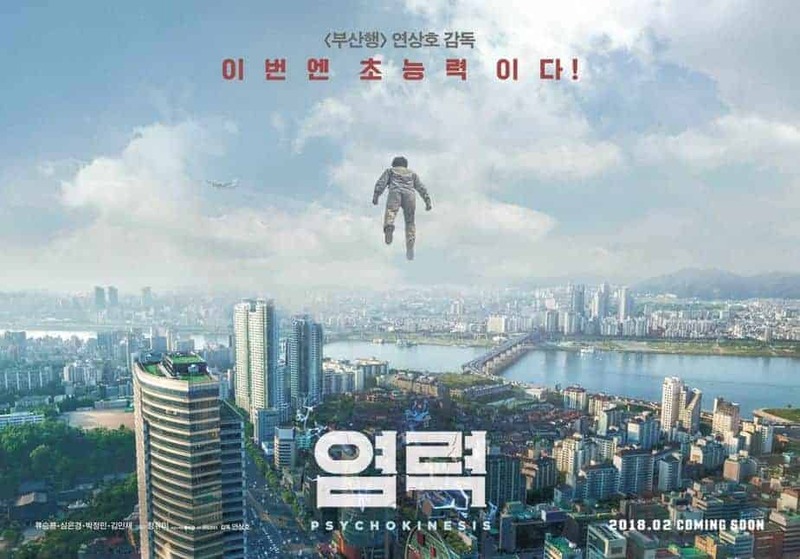 The story features what appears to be an ordinary, middle-aged man (Ryu Seung-ryong) who randomly obtains supernatural powers (mostly the ability to move objects with his mind). He then tries to use his newfound abilities to save his daughter once she finds herself in danger. The mind-bender also stars Shim Eun-Kyung, Park Jung-Min, Kim Min-Jae, Jung Yu-Mi, and Kang Sang-Won. Psychokinesis is set to premiere in South Korea on January 31, 2018. The streaming giant Netflix has scored the global rights to the movie- a release date has yet to be set, but is expected to come about within the year. Check the new trailer out below.